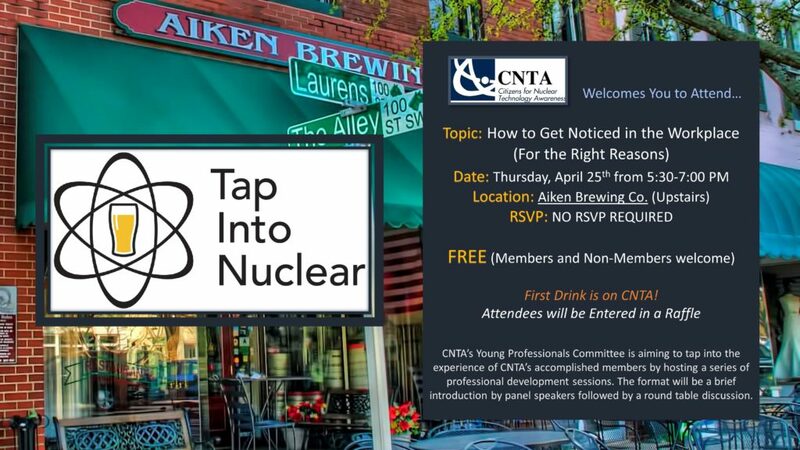 CNTA’s Young Professionals Committee aims to tap into the experience of CNTA’s accomplished members by hosting a series of professional development sessions as well as provide a space for networking between like-minded individuals in the nuclear industry. The event and first drink is free. Contact the Tap into Nuclear co-chairs are Hayley Williams (hayley.williams@srs.gov) & Kevin McCann (Kevin.Mccann@srnl.doe.gov) for more information.